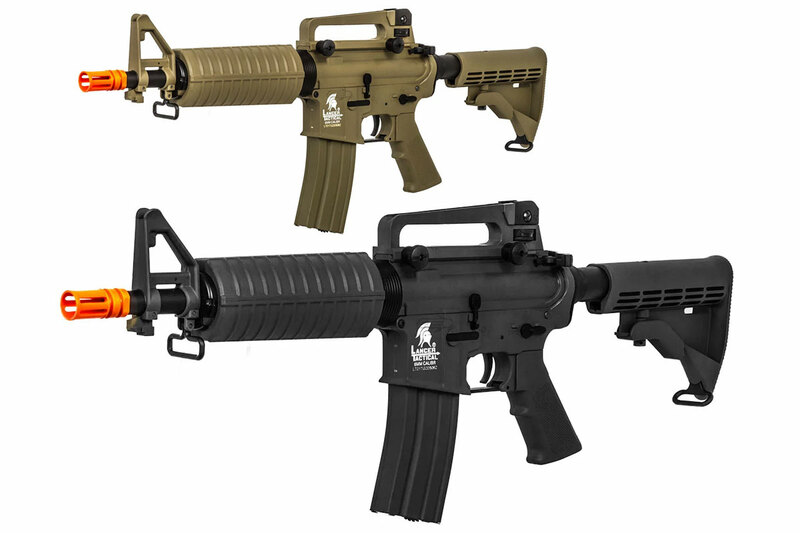 Quickly maneuver around the airsoft CQB field with the second generation of Lancer Tactical airsoft rifles. 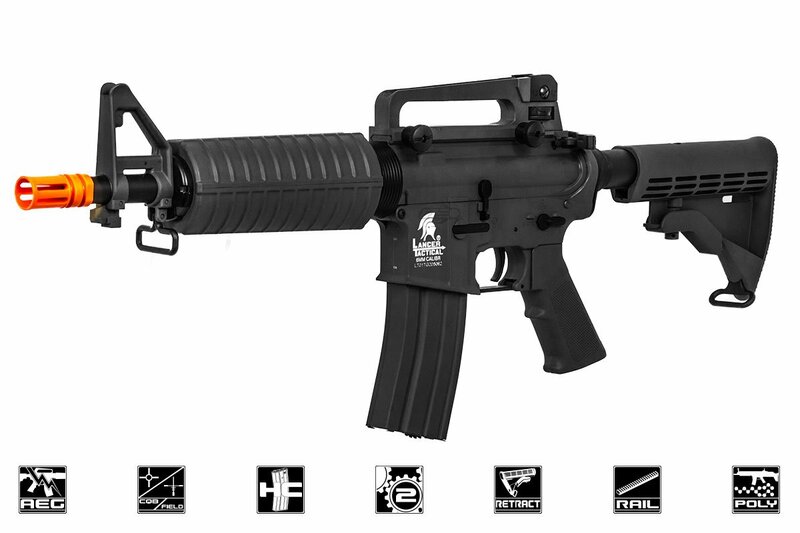 The Lancer Tactical Generation 2 M4 M933 Commando Carbine from Airsoft GI features a new, upgraded, nylon-reinforced polymer body that makes it tough and durable yet lightweight. That means you can stay in the fight as long as it takes to vanquish your enemies. This carbine is shorter than the standard length of most assault rifle platforms, giving you even more freedom and mobility to seize the salient needed to give you the edge on the battlefield. The gun also features an adjustable front and rear sight, so you can dial in and zero your shots, and a detachable carry handle, so you can attach your favorite optic. Two sling loops are located at the front and rear of the rifle, so attaching a sling to make the rifle more comfortable to handle is a breeze. Internally, the second generation of these Lancer Tactical carbines comes with standard Version 2 gearboxes. That makes upgrades and modifications easy to get, so this gun can grow with your skills and interests as well as keep up with advances in the airsoft industry and changes in the games you play. These upgraded gearboxes feature lots of premium features, like an upgraded motor, 8mm ball bearings to ensure the gears spin more efficiently with less friction, a quick-change spring system and low-resistance wiring to ensure electrical flow from your battery to your rifle. The rifle also features a 6.03mm tight-bore barrel and a rotary dial hop-up unit to allow for more precise, accurate shots at range. This model shoots approximately 330 to 345 feet per second out of the box, making it CQB legal and perfect for those close-quarter engagements. Best of all, these guns come with a high-capacity magazine, a 9.6V battery and a smart charger. That means you can break your opponents' strategy, tactics and will without breaking your bank. So pick one up and enter the fight. Take the high ground of the playing field with one of our bold, new second-generation Lancer Tactical M4 carbines. Bought this gun to add to my collection am surprised at how well the gun performs. I plan on using this gun to build up my teching skills. But it looks like I may not need to upgrade much internally. I may simply install a high-performance motor. I may also use this opportunity to learn how to shim the gear box. The rest will be external upgrades for now. I may add a free float rail and some other externals. But at the minimum, I will be replacing the buffer tube for a metal one.